Has Nissan’s new Leaf turned over enough? 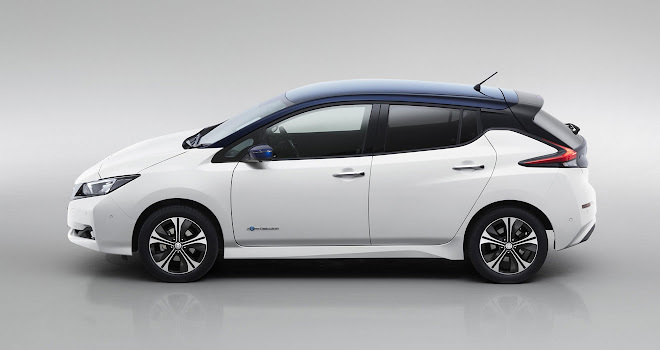 Nissan’s second-generation Leaf represents a welcome step forward for the Japanese firm’s pioneering electric vehicle, though not quite as big a leap as it might appear. Side by side comparisons suggests that a lot of the underlying structure of the car must have carried over from the first generation. The door apertures, for example, appear identical. As a result the latest Leaf has a strong whiff of facelift about it, rather than the entirely new car that buyers might have expected to arrive eight years after the original. Much more important is what the revised Leaf brings to the table, of course. Most notably, it features a 40kWh battery, which is a welcome stride forward from the 30kWh and 24kWh options offered to date. The result is a quoted range of 235 miles (under the outmoded and virtually pointless NEDC assessment process). By contrast the EPA range tests used in the USA, which are tougher and so a bit closer to the real world, are expected to yield a more modest figure of 150 miles between charges, up from 107 miles for today’s 30kWh Leaf. 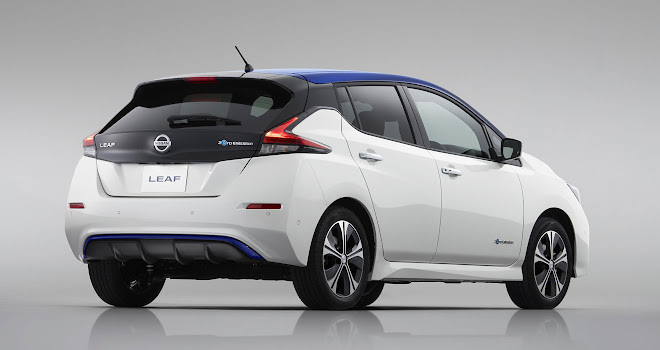 The updated Leaf goes on sale in January 2018, and towards the end of the year the option of a still bigger battery and more powerful motor will be added to the range – though details remain to be confirmed. Maximum charging times for the new 40kWh battery should be 16 hours with a 3-pin plug, or half that with a domestic 6kW wallbox. About 40 minutes hooked up to a Chademo quick charger should yield an 80% top-up, or another 100 miles or so, depending on how fast you drive. Under the skin, the car’s layout remains much the same as before. Don’t go lifting the bonnet expecting to find a Tesla-style front trunk, as the space will be chock full of electrical hardware. 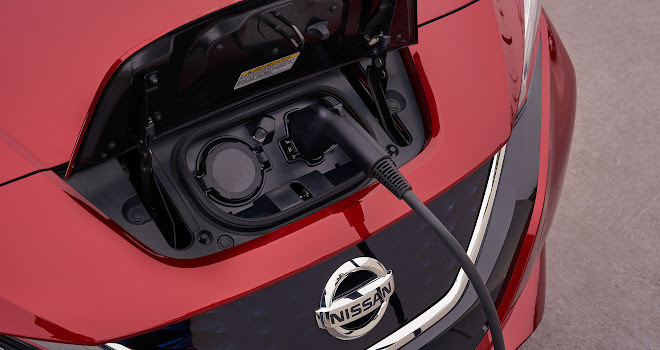 The new Leaf’s charging socket also remains on the nose, which in my experience is less convenient than a flap at the rear. Getting the nose in close to a wallbox or charging point may mean you have to reverse into the road afterwards, which isn’t always the safest option. At least the socket is higher off the deck than before, meaning less bending down to plug in. 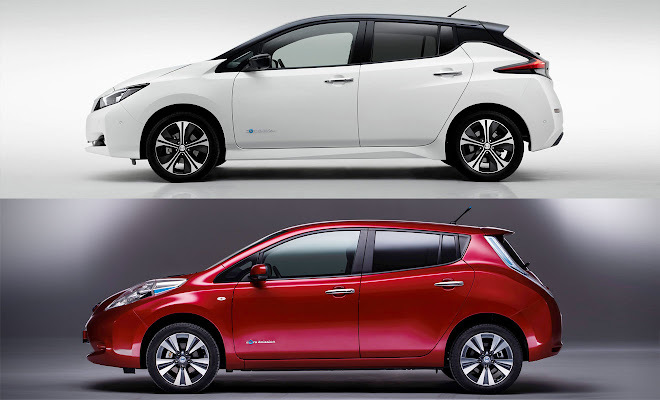 Nissan has brought the Leaf closer to rivals like the BMW i3 with a new one-pedal driving mode, which it calls e-Pedal. This will provide strong energy regeneration as the driver eases off the throttle, providing a braking effect that means the actual brake pedal will only be needed to stop sharply. The upsides are likely to be reduced brake wear and better efficiency (and thus slightly improved range between charges), and increased convenience – with less need to use the handbrake or to hold the car on the brake in traffic. The unaccustomed sensation of one-pedal driving may not be to everyone’s taste, however, so hopefully it will be an optional setting. The new battery is the same physical size as the old one, with its added capacity achieved through an increase in energy density. The car’s overall weight, quoted as starting at 1,535kg, appears not to have changed much either – the same figure is given for today’s 30kWh Leaf in top Tekna trim level. We must await like-for-like comparisons. 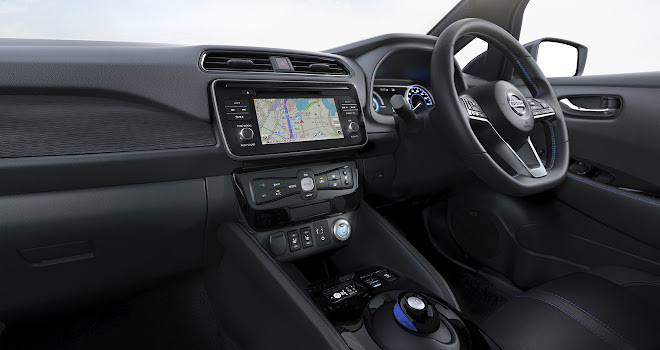 Peak power output of the new Leaf’s electric motor has increased, from 80kW (107bhp) to 110kW (148bhp), while maximum torque has gone up from 254Nm to 320Nm. 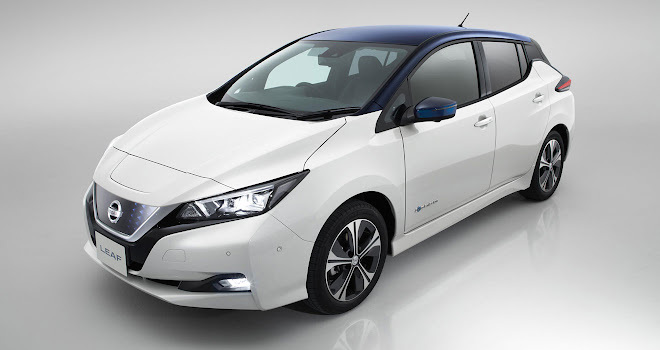 As a result, the revised Leaf ought to feel noticeably more lively than its predecessor, though Nissan hasn’t yet said how much you might shave off the current car’s 11.5-second sprint to 62mph. 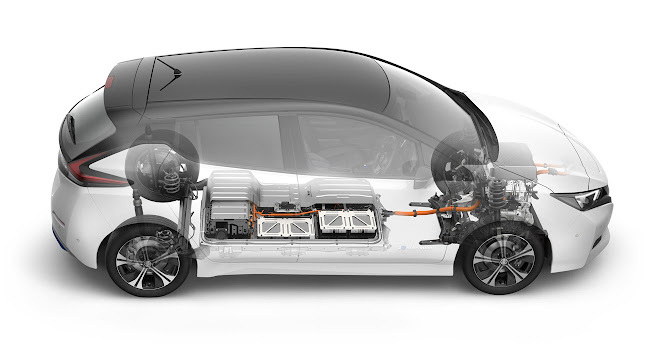 Inside, the Leaf has switched to a more conventional instrument layout, abandoning the current car’s split-level cluster. UK prices remain to be confirmed, but we can expect the car to remain keenly priced against alternative EVs from BMW, VW and Tesla.